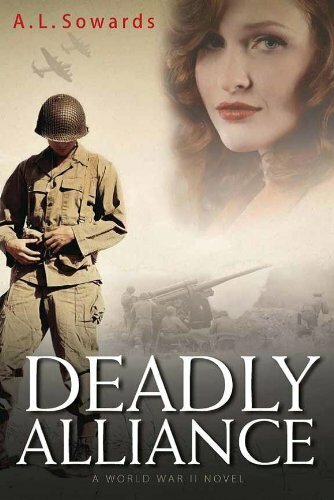 25 Best WWII Romance Novels to Read About "The Greatest Generation"
Looking for some of the Best WWII Romance Novels you can read? Emma is taking her newborn and two other children to the South of England to protect them from the devastating effects of the war. She is assigned a roommate when she gets there and he is a pianist named Andrej who very much prefers to be alone. The home is too chaotic for him; besides, the children remind him of a terrible loss. But Emma also has secrets and when the two of them start a relationship, all of those secrets threaten to destroy what they’re building. Danny was once a happy college student in Chicago but is now flying B-17s over Europe, thanks to Pearl Harbor. Down below, there is a girl named Anya who has decided that her beloved Holland is worth saving even though it seems that her prayers have all gone unanswered. Occupied Holland is dying with thousands of people meeting their demise daily but Danny moves forward with his unit’s plans and is sure that people like Anya will indeed be saved eventually. Nina’s second husband knows little about her first one, who died during World War II. But that all changes when her teenage daughter discovers an old box filled with mementos that once again bring her late husband back to life. 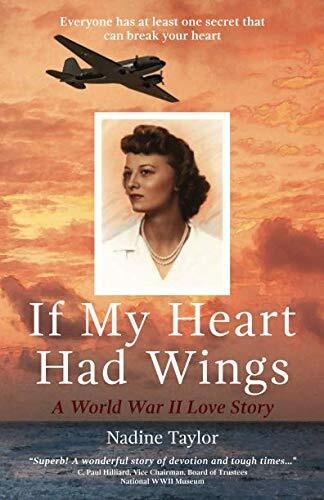 A true story told by old letters, photographs, and even Army Air Force files, it is one story that you will never forget because it is both heartbreaking and heartwarming at the same time. 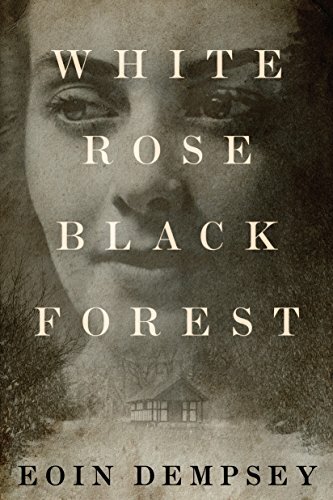 In 1943, Franka notices an injured airman lying in the snow near her family’s cabin, which is never as filled with laughter as it was before the war. Even though she hates the regime that this airman represents, she cannot just leave him to die and instead does everything in her power to make him well again. It is dangerous because she is a German dissenter and it soon becomes obvious that the Gestapo is after them. But Franka is trying to discover the airman’s true identity and it becomes a race against time because of the Gestapo’s hunt. 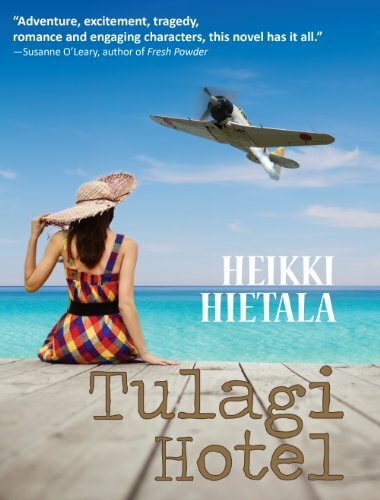 Jack is an ex-pilot who starts a hotel on an island where he used to fight during the war. Soon afterwards, the past and present intertwine when he sees war veterans walking through the hotel as well as the widow of a wingman he once knew. With exceptional characters and tumultuous storylines, this is a story where past meets present and where Jack finds that his current life is just as chaotic as his pre-war life was. Julianne is used to having the finer things in life and when she visits a brother she never knew she had — who is both blind and deaf and has been institutionalized since birth — she meets a young man named Kyle. The problem? Julianne is a Protestant and Kyle is a Catholic who is studying for the priesthood. When an accident results in Julianne leaving behind everything she’s ever known, she builds a new life that is built on lies. But how long can this go on before it destroys her? Fragile love, loss, and redemption are at the center of this story, which starts with a man whose son was killed by Fascists and who witnesses Nazis beating a young Jewish girl, whom he then saves and hides. 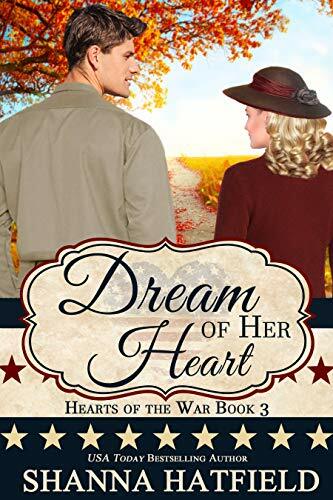 Rachelle is a breath of fresh air in Dufy’s life; later, when the British drop supplies and a beautiful agent practically in his lap, Dufy falls in love with the woman. With invaders closing in on them, nothing works out as Dufy hoped it would. This is a very suspenseful story filled with angst and a lot of history. 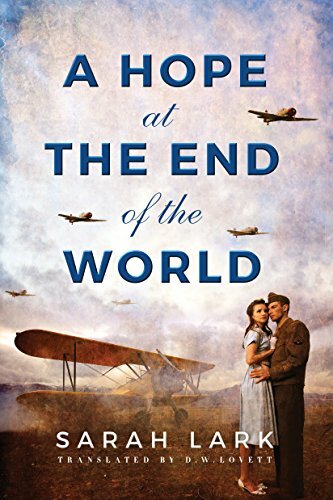 Peter and Genevieve have a relationship that is threatened by the arrival of World War II. Peter and his team agree to go behind enemy lines to destroy a bridge in a country occupied by Nazis in order to redeem themselves to the Soviets and Genevieve is using her job as a courier to find information on where Peter is. But both of their assignments turn out to be more than they bargained for; despite the inherent danger involved, they are both completely devoted to the tasks that may just bring them back together in the end. 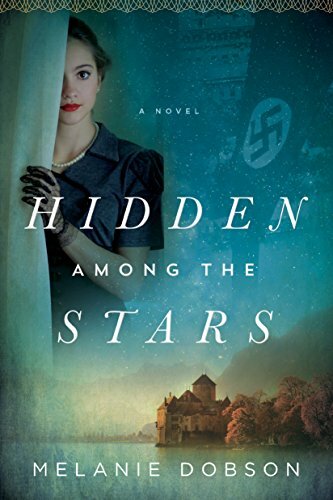 In 1938, an Austrian named Max smuggles personal belongings owned by some Jewish people to his family’s estate to hide them from the Nazis and he brings along a Jewish woman named Luzia as well. Annika, a woman who has had feelings for Max for a very long time, isn’t happy with this arrangement and eventually both Luzia and all of the jewels disappear. 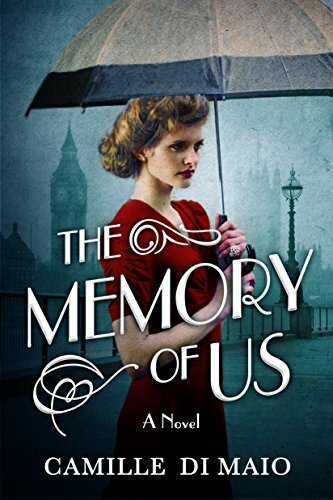 Eighty years later, a lady named Callie finds an old book in her bookstore that connects her to Annika so she starts digging in order to find answers to the questions she now has. Evelyn becomes a widow during World War II; later, she finds a music box with a note written by her late husband telling her she needs to go on. As painful as it is, she decides to honor his wishes, even selling the music box so her infant son can have a cradle. From then on, the music box passes from one generation to the next, helping a variety of people that includes a crippled child, a broken father, a struggling farmer, and even a woman who was once called the soldier’s bride. Helena and Luzyna are teenage sisters living in Poland during the war and they have lost everything. When they find out that orphans have the chance of going to New Zealand to start over, they jump at the chance. But, when they find out that only Luzyna will be accepted, Helene accepts her fate. When Luzyna fails to show up and Helena takes her place, eventually landing in New Zealand, she has the chance to enjoy everything anew, including her love life, but will guilt spoil it all for her? 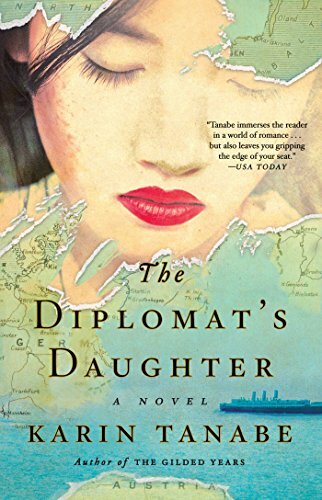 During World War II, Eugenia is content to help her father with his missionary work until an American pilot flies in to warn them about an upcoming attack by the Japanese. 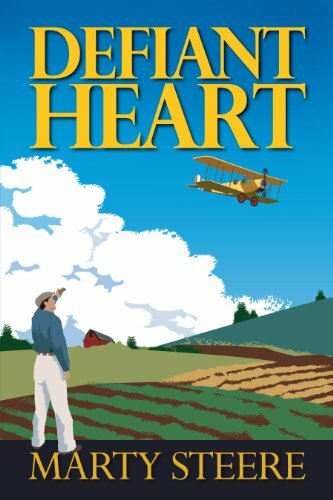 Eugenia’s father asks the pilot to take her across the mountains so she can then make it to the United States and even though she is hesitant to leave everything behind, Eugenia agrees to go with him. Genie and Ted eventually start a relationship and Ted gives her the confidence to leave her old self behind and become anything she wants to become. When a lieutenant named Zane goes to visit a wounded friend in Oregon before heading out to the Pacific, he is stunned to learn that his friend has disappeared. When a nurse named Billie offers to help solve the mystery, he agrees to let her and he is immediately smitten with this feisty young woman. 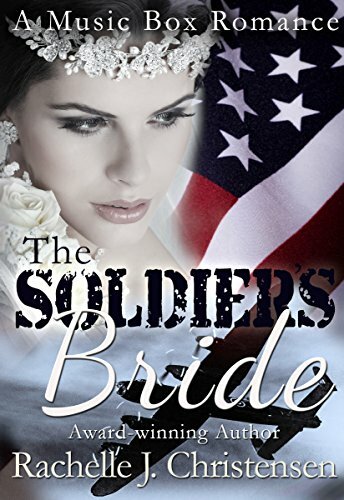 Although her rule has always been not to get involved with any of the soldiers in her charge, Billie agrees to break her own rule this time, making for a wonderful and touching ending that you won’t forget. 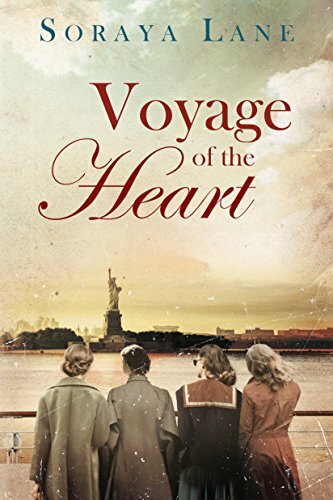 This is the story of four war brides joining their husbands in the United States right after World War II. Alice, Madeline, Betty, and June become friends on the boat taking them to the States and vow to be friends even afterwards. Join these four courageous women as they handle their families, the challenges of a post-war world, and even their love lives with dignity and strength. This is a truly heartwarming story with characters you’ll love. Violet’s husband has been missing for a year now and her daughter Ella is acting as if she has a secret to share. 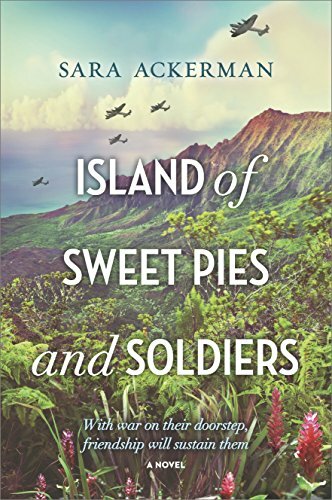 When Violet and her friends decide to pass the time away by baking pies for the men on the base, she never forgets that her main job is to find out what happened to her husband. 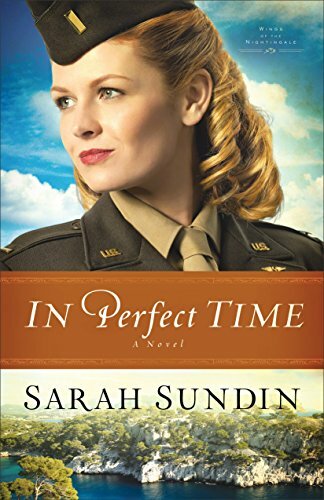 When the women are accused of spying and a brave Marine comes to her aid, she can’t help but be attracted to him but it isn’t long before she starts to experience feelings of guilt. Violet has a lot of chaos in her life but she gets through it all with courage and a little humor, not to mention a strong sense of resolve. This is the story of several people, both women and men, who are trying to survive in a world torn apart by war. 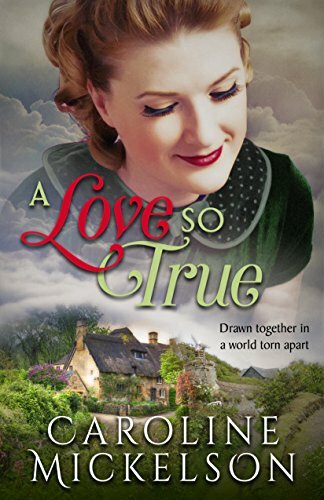 Kate is a nurse who wants a man she can’t have; Jen is an actress on an ENSA tour who is suddenly homesick; and Joyce roams the streets daily to avoid her now-silent husband. Discover how these brave men and women survived their ordeals with stories of courage, wit, and even laughter as you become attached to them in more ways than one. 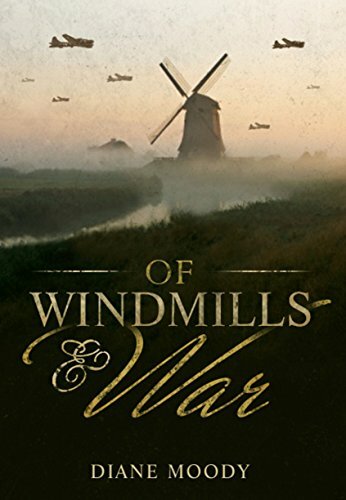 When Scarlet and Ellie travel to France during the war to help nurse soldiers back to health, they are terrified that they won’t make it home. When they get to France, they meet Lucy, who gives them tips on what to do and what not to do. 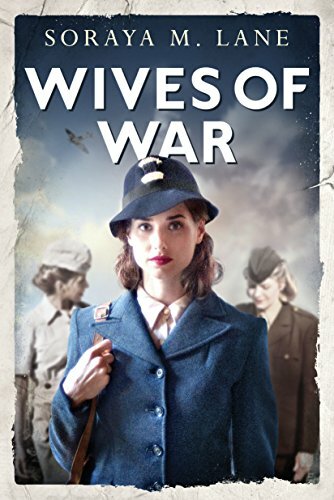 The three women form a very strong bond and from then on, they share every aspect of their lives, including their love lives, bringing them even closer together and helping them survive the challenges of war. Nan is a widow and midwife in the neutral territory of Ireland. 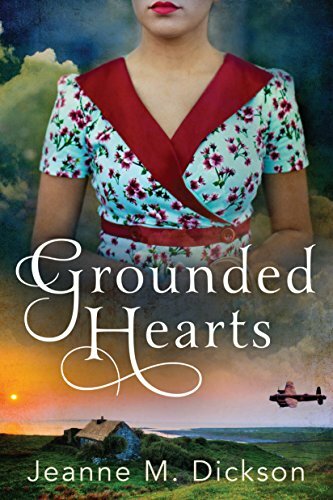 When RAF pilot Dutch is wounded and lands on her doorstep, she takes him in to tend to his wounds even though she knows that she’d be in trouble if she got caught. The two form an immediate strong bond but Nan is harboring secrets that have caused much guilt since her husband died. 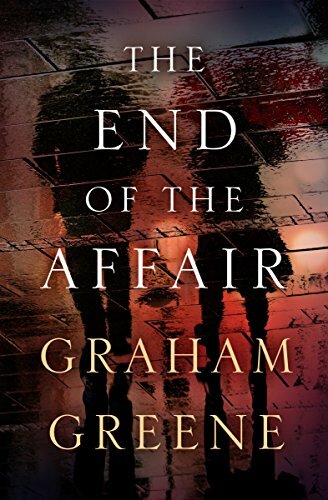 When the two start to plan Dutch’s escape, she suddenly asks herself if the potential rewards are worth all of the risks she’s taking, especially since she gave up on love a long time ago. 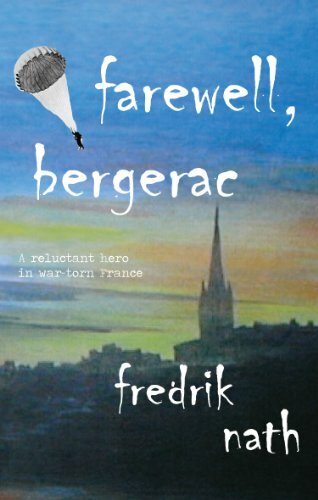 Eva’s husband goes missing during World War II and she feels neither widow nor wife anymore. When she meets a Black GI named Bill, her life seems to open up again. 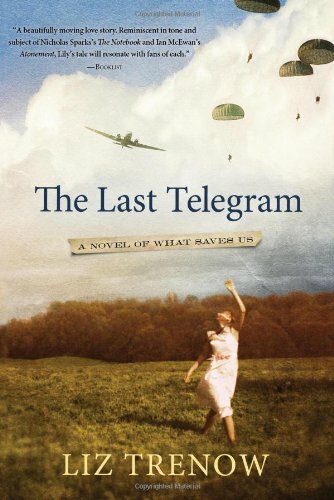 After finding out she is pregnant, Bill is shipped to the D-Day battle and she is left to raise her daughter Louisa in a very prejudiced world. How far will Eva go to keep her daughter safe and will her daughter work just as hard to find out the truth about her existence? This is the story of Miko and Rock. Miko is on her way to a detention camp for Asians when she escapes to an abandoned farm owned by her grandparents. There, she meets Rock, a wounded soldier who is just waiting to die. Miko saves his life and from then on, they both wish to do everything possible so that they can be together as long as possible. This is a tender, heartwarming story with characters you’ll be rooting for to the very end. 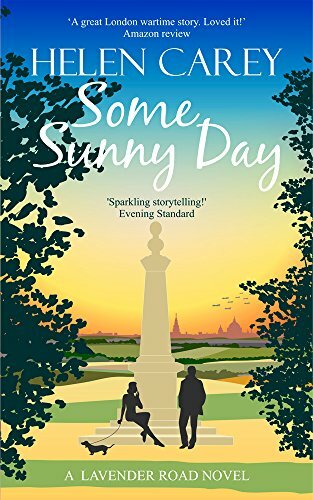 In World War II London, a beautiful wife named Sarah in a dull marriage and a writer named Maurice begin a friendship that soon turns into an affair. Though both of them feel guilty, they each know that Sarah needs passion in her life and Maurice needs inspiration for the book he’s writing. After Maurice survives a bombing, Sarah suddenly cuts off the affair without explanation. But when Maurice runs into Sarah’s husband later on, what is revealed to him is much different than he would’ve ever imagined. When young Jon’s family is killed in an accident, he goes to live with an aunt in Indiana. He meets Mary, the mayor’s daughter, at school and is immediately smitten with her. Soon, Mary is attracted to him as well but his rival Vernon and Mary’s own father are trying to keep them apart. Their relationship hits a major snag when Pearl Harbor happens and they suddenly realize how much determination and courage it will take to make it through all of this. 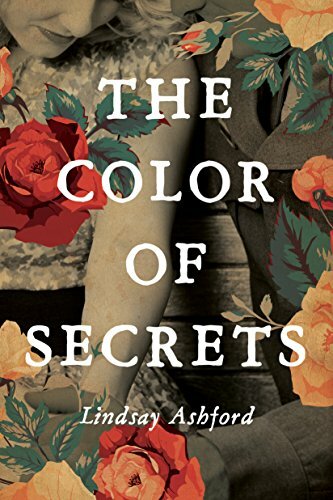 Emi is locked behind bars in an internment camp in Texas; there she finds Christian, who is there because his German-born parents were accused of un-American activities. 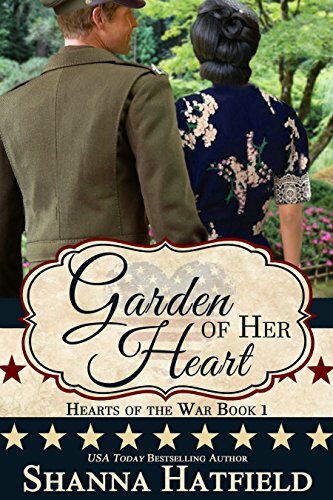 Their love blooms despite the bleak surroundings they’re in but when Emi is suddenly sent back to Japan, Christian enlists in the U.S. Army in hopes of being stationed where she lives. Meanwhile, her first love Leo is also aiming to reunite with her but when Emi’s parents send her to a remote village to live, she can’t help but wonder what has happened to both of the men she loves. 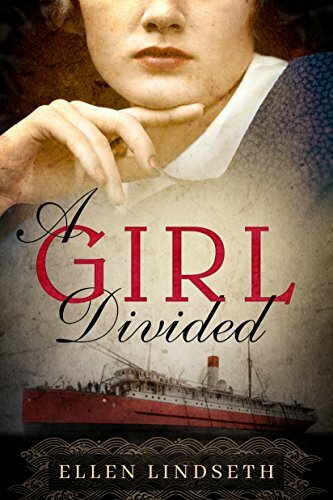 Lily made a difficult choice during World War II that has now come back to haunt her. She remembers various things from the war, including her family’s weaving mill and a heartbreaking loss that seemed to stop time. The one thing this novel gets across is that each and every decision people make can affect the rest of their lives and all of our lives contain guilt, truth, love, and forgiveness. Kay is a flight nurse and Roger is a pilot; they’re working together to evacuate wounded soldiers and deliver supplies and paratroopers. Every man who’s met Kay has been attracted to her so why doesn’t that apply to Roger? As they continue to work together from continent to continent, their closeness grows but the closer they get, the more apprehensive they are about their pasts. At the end, they discover that love is worth anything you must give up for it.